Rebuilding a snowmobile clutch can be a difficult project for a neophyte sled mechanic. Some will argue it can be done without a clutch puller, but if you want to do it the right way and change the primary spring, the special tool is a necessity. They can be purchased, or crafted in your shop for much less. Either way, changing your clutch correctly will give your snowmobile better performance and more enjoyment. Remove the primary clutch with the clutch puller tool. Remove the cover of the primary clutch, pushing slightly down on the cover to preload the primary spring. This will take stress off the bolts. The components such as the primary springs, rollers and fly weights are now exposed and ready to be changed. Remove the set screws that apply pressure to the fly weight guide pins with the t-handle Allen wrench. Then, use a ratchet and wrench (usually around 8mm) to remove the bolt and guide pin that hold the fly weights in place. Change the weights and mash the new weight rivets into them per your sled's requirements. Change the rollers. This is done the same way as the fly weights. Replace the set screws and reinstall the clutch cover. Reinstall the primary clutch and ride the trails. Use a vise and flat sheet metal to mash your rivets. 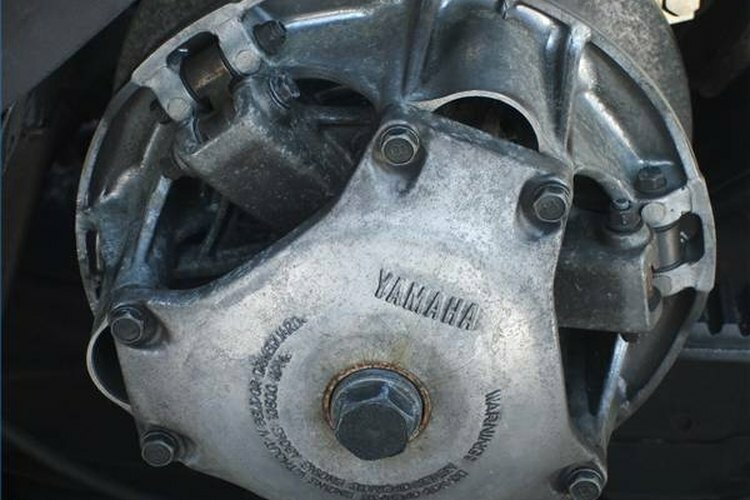 Uneven mashing can hinder your clutch's performance. Changing clutch components can change your performance for better or good. Find you snowmobiles specifics at the manufacturer's website or in a manual.